I always enjoy your photos! I'll have to check out the Pet Expo. Have a great weekend. Thanks for linking up. Have an awesome weekend. Pretty cool! I was going to pick a fave....but I couldn't! They're all very cool! Very nice! All the photos are great. 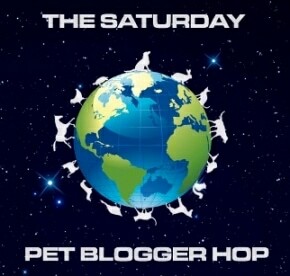 We are stopping by to say hello from the blog hop. Have a great weekend! Stopping by from the blog hop. Your photos are very neat! I always look forward to your photos.. you are talented! Just hopped by to enjoy your photos and say hi! Love the picture of Nitro lying on the bed. I could just eat him up! OH! I JUST LOVE LOVE LOVE The pics of Nitro!! I have 2 boxers. One is a fawn and the other is a White. My white has one blue eye also! His name is Justice and he is a BIG BABY!! (momma's baby ;o) Yout pictures are beautiful!! Nitro is really cute. Great photos. Very artistic. As always.